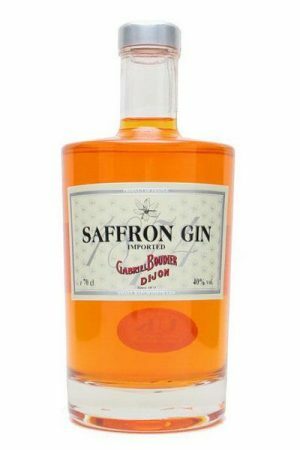 Saffron Gin is a unique recipe discovered in the archives of France’s colonial past when England and France both claimed India as their jewel, and Gins rich in exotic botanicals were fashionable. Apart from Saffron which gives this Gin a delicately spicy character, seven other fresh botanicals are used including Juniper, Coriander, Lemon, Orange peel, Angelica seeds, Iris and Fennel. Saffron Gin is only produced in small batches using a traditional pot still, so at this stage availability is limited. Tasting note: Brilliant deep orange/gold appearance. Semi sweet scents are of orange and mandarine peel over more subtle juniper notes. Delicate spices emerge after time in the glass with suggestions of saffron. 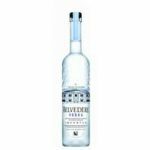 A mild entry leads into a light to medium bodied palate that repeats the citrus peel-over-juniper theme. Soft, gently spicy mouth feel. Concludes refreshingly dry followed by a delicate juniper and spice aftertaste. 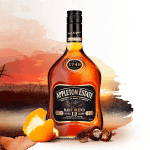 If there’s saffron evident it comes through very late (more texturally than taste wise) and in such a subtle way that if you weren’t looking at the bottle, it wouldn’t enter the flavour equation.